The goal of DryadLINQ is to make distributed computing on large compute cluster simple enough for every programmer. DryadLINQ combines two important pieces of Microsoft technology: the Dryad distributed execution engine and the .NET Language Integrated Query (LINQ). Declarative programming: computations are expressed in a high-level language containing a superset of the best features of SQL, functional programming and .Net. Automatic parallelization: from sequential declarative code the DryadLINQ compiler generates highly parallel query plans spanning large computer clusters. DryadLINQ also exploits multi-core parallelism on each machine. Type safety: distributed computations are statically type-checked. 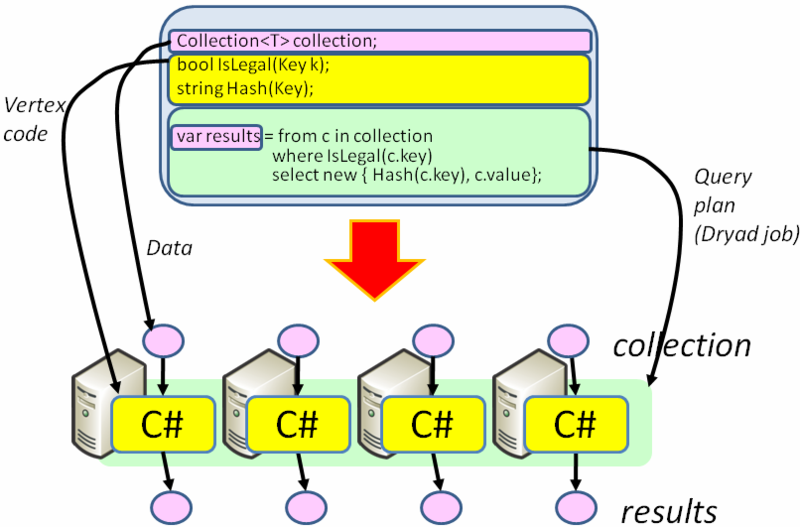 Automatic serialization: data transport mechanisms automatically handle all .Net object types. static: a rich set of term-rewriting query optimization rules is applied to the query plan, optimizing locality and improving performance. dynamic: run-time query plan optimizations automatically adapt the plan taking into account the statistics of the data set processed. 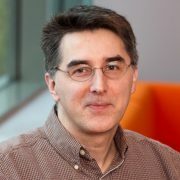 A commercial implementation of Dryad and DryadLINQ was released in 2011 in beta form under the name Linq to HPC: http://msdn.microsoft.com/en-us/library/hh378101.aspx.